It makes sense that a warm and underperforming winter would be followed by a cold and wet spring. I’ve been burying myself in work and household projects, but Killington just would not go away. 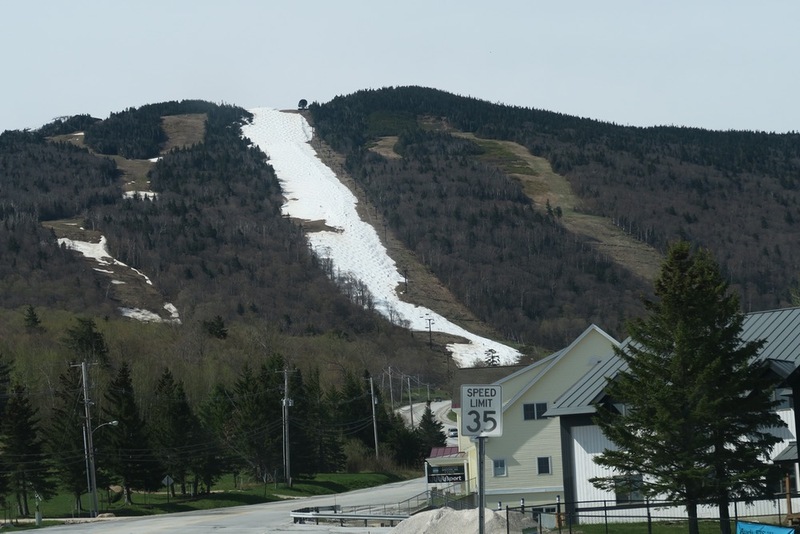 Each time I peeked at social media or the Killington conditions thread, Superstar seemed deep and very top-to-bottomish. On top of it all I’d only used a week of vacation all winter. I took off early Friday, and arrived in the early afternoon. Darkside Shaman loaned me his most awesome Stihl leaf blower and I dusted up the trails. Just as I was finishing cleaning up, the Son of Pitches showed up and afternoon MTB was on. The next morning Duck and I drove over early enough all things considered. We met in North Creek at 7:30 and headed towards VT. Duck said he was surprised I didn’t want to go earlier. Getting older or getting wiser? Hard to say. We booted up in the K1 Lodge, then boarded the Superstar Express. Reports from the day before indicated that even the traditional pinch points were deep. After just three runs I felt tired. A month since my last ski days and those big bumps were taking a toll. At the end of each run, approaching the lower headwall, my legs were screaming for a lift ride. I knew had to save something. I’d plans to meet Marcski and Abby to get a shot for the blog piece Marcski is writing. Plus I learned in the forum, Riverc0il was in the house. Duck was rolling along and it was fun to watch. River banged out some impressive bumps on the four runs we did together. Marcski continued his drive to ski NTN full time. Abby was relentless, she dominated. I heard tell of, but never connected with, PSIA Level 3 Mattchuck. In only seven runs I left it all out on the hill. At one point Marcski said he was impressed that I was teleskiing the toughest stretches. 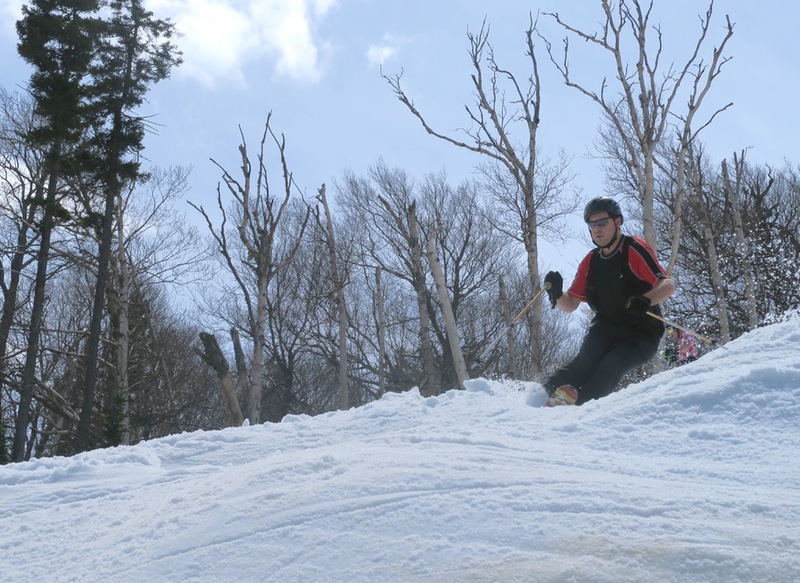 But I was doing exactly what he was doing… trying to make some good turns and get down. Get down, get down, get down, get down tonight baby. Woo hoo hoo! Thanks Killington, for being the Beast. 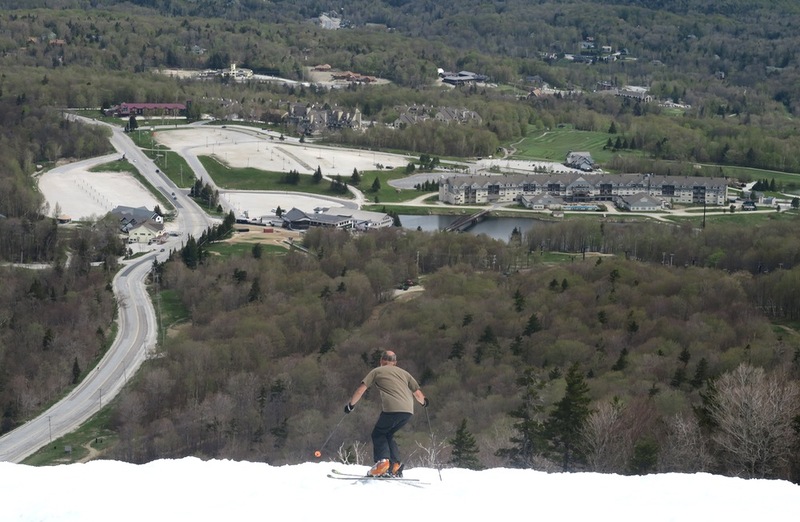 Killington sure is impressive. 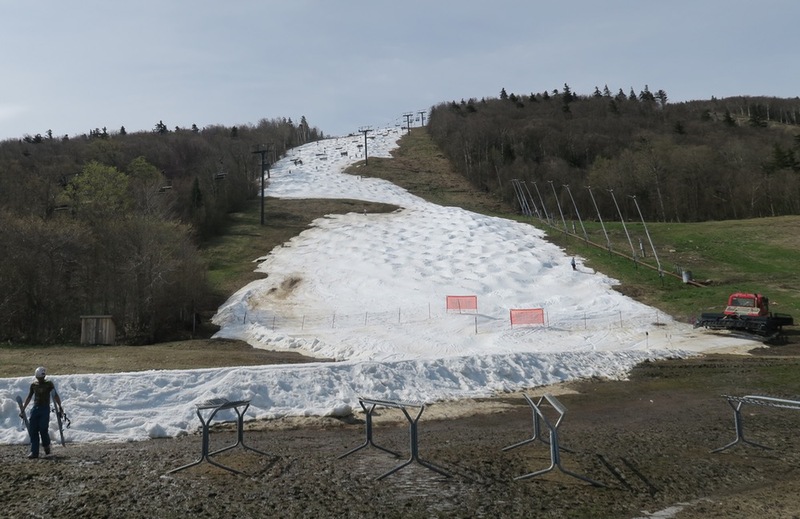 It’s funny that after last year, with all the cold temps and the giant pile they were able to build at the top of Superstar, they’re closer to making June 1 this year. I guess you can’t predict the weather.